This is a full kit of parts to replace the cam chain and all the relevant parts for the Z1/Z1A/Z1B Z900 . 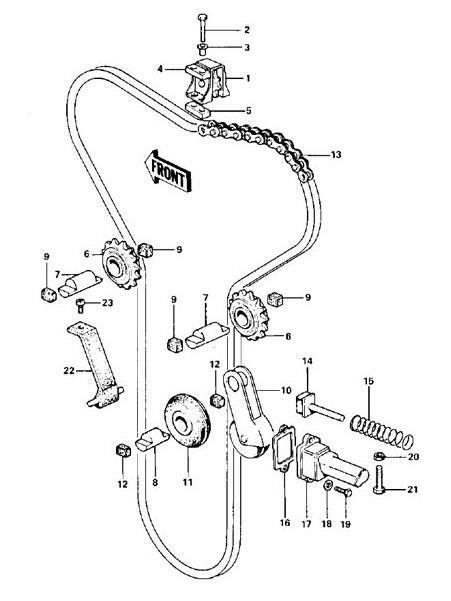 You get the cam chain, the front guide the rear guide, the three idlers and their shafts, the bottom rubber roller and the rubber damper blocks (10). So you get: CAM CHAIN 219TX122, 1 X 12057-001, 2 X 12057-002, 1 X 12053-019, 1 X 12055-002, 1 X 12048-001, 2 X 92075-123, 4 X 92075-232, 2X 92075-119, 2 X 92075-120, 1 x 12052-003, 2 x 12052-005.